Many years ago working in the research and development office for a certain HBCU that was in the midst of what was supposed to be a five year capital campaign to raise $30 million. Around the same time the University of Virginia, an HWCU located in Virginia, had a goal to raise $30 million per month. Instead, we were in year six with no real certainty that it was going to end. What made the situation even stranger to me was that money “pledged” counted toward the goal. This is not totally abnormal when donors pledge large amounts of money. They typically set up payment plans over a set number of years. My problem was we weren’t really raising a large amount of money so therefore there was very little reason the money we were asking for could not have been received within a very small windows of time, two to three years at most. In the end it was unclear whether we ever reached the goal or the president just decided we’d been at it long enough and to not be embarrassed we released a presser saying we’d exceeded our goal – despite going into the extra year still not having raised the goal. HBCUs have a donor image problem. This is to say that we at times are overly concerned about where and who the money comes from. There is an old saying that beggars shouldn’t be choosy. HBCU endowments at best are in the range of $1.5 to $2 billion dollars combined spread out over 100 plus schools meanwhile the top 10 HWCUs have a combined $120 billion in endowment capital according to NACUBO. Yet, going back to the HBCU where I was working at the time a local pro NBA player, who had only a high school diploma had just signed a $98 million contract, I suggested we create an off season degree program for him to make him an alum of the school so that we could then court him for major donations. There was also the local music mogul whose financial origins while questionable had been given his own day by the mayor of a major American city. Easily these two gentleman combined could have donated in one day what was taking us one year to raise. Along with that the media recognition that both of these gentlemen would have brought through their various media outlets would have been a significant boom to recruitment. Did we ask either gentleman for money? No. When I pressed about this the response was that they’d neither thought about asking or didn’t like the reputation of that person. Instead, we took $25,000 from a pastor whose church is attended by the said music mogul and also happen to have bought the pastor a Bentley. It did wonders for recruiting new members from our HBCU to his church but very little in the way of impacting our bottom line. Eighteen of the world’s 100 highest paid athletes are of African descent with no affiliation to a college. They have earned $390 million after taxes over the past twelve months. 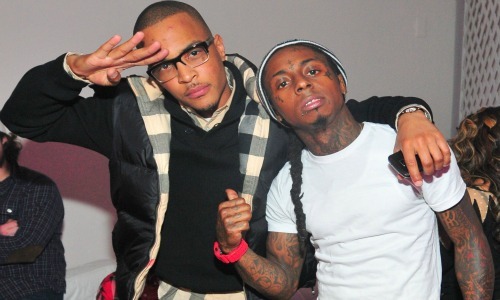 Couple that with twenty of the highest earning hip-hop acts who earned approximately $150 million after taxes in 2011. That is a combined $540 million income which should be kept in some perspective. The top twenty five hedge fund managers (all European American) in 2011 earned a combined $22 billion. I’ve always said we are overly “invested” in entertainment be it sport or otherwise. Well paid labor but labor none the less. All that said we need to focus on what we do have and that is $540 million annually. The added benefit of these thirty eight being highly visible to the media can close the total benefit gap. The total benefit is measured by adding the social plus economic plus political benefit of a person’s donation of resources to an institution. While a hedge fund manager could donate $100 million without blinking an eye. They are not well known to most 12-18 year olds especially not African American teenagers who are HBCUs primary target demographic. A well publicized donation by someone like Jay-Z, T.I., C.C. Sabathia, or LeBron James for $1 million might not have the immediate impact of $100 million, it would certainly lay a large influence to teenagers of African descent choosing the school. Currently, only 10-13% of African American high school graduates who choose to go to college are choosing HBCUs. The implications of this have been long and wide and constitute an entire article in its own right. Having a donor who is a popular figure as your spokesperson and as a donor would cause a long range ripple effect in our community. The gap between the economics and power of African American institutions vs. the other four Diaspora (Arab, Asian, European, & Latino) institutions of all sorts is not shrinking its growing. To continue to mimic the behavior or “speed” of a group such as European American institutions who have 50 times your median net worth on the individual level and over 100 times your economic value on an institutional level is simply maddening. Given the economic origins of the wealth of such families as Kennedy, Bush, and many other European American families and absolute unwillingness for European Americans to consider reparations for slavery there is no sense in us being prude about which African Americans we take investment from. Lest we forget that almost 50% of the world’s GDP comes from the illicit economy. We need money from all of African America and from most of the African Diaspora just to give ourselves a fighting chance. The leadership at HBCUs has got to get outside of the box and start to recruit these people as donors and find strategic ways to use the person’s media and community presence to our favor. Teacher salaries, student scholarships, research budgets, and infrastructure building is constantly on the fringe because we refuse to engage those with the money and with the social influence to create more alums and ultimately stronger institutions. If these athletes and entertainers can be used by others to enrich themselves then our own community can certainly find a way to put them to use for the strengthening of our nation. This entry was posted in Philanthropy and tagged donors, endowments, philanthropy. Bookmark the permalink. This hit the nail on the head!